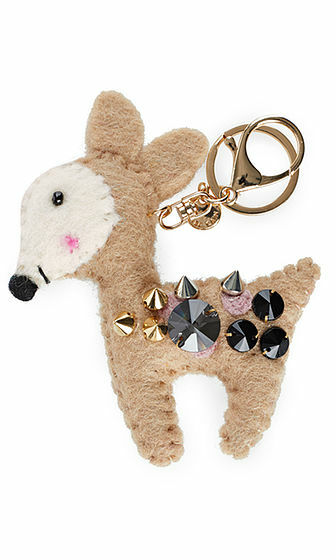 Cute key fob made from felt in the shape of a small deer. The edges are sewn with fine topstitching. The deer is given a glamorous effect by the glittering rhinestones and the metal ring tag with an additional carabiner clasp.